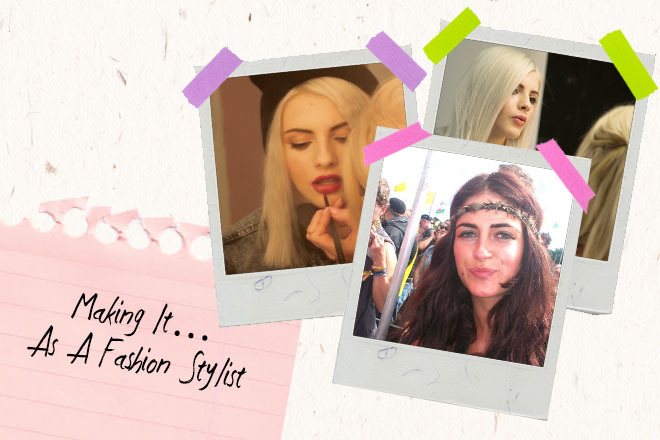 To be a stylist is every girls dream, so we sat down with the Danielle, our stylist here at PrettyLittleThing to get a little bit more insight into her day-to-day! Take notes ladies! I studied Fashion Styling and Image Making at Salford Uni. What made you want to work as a Fashion Stylist? Fashion has always interested me and I had worked in the industry for 7 years as a hair stylist before I decided to go bad to Uni and study styling. I loved working on shoots and during the shows which massively influenced my decision! I always loved working on the shoots and the shows so I went to Uni at 23. It took me a good five years and I worked two jobs to keep me going, but it was completely worth it! I first started at PrettyLittleThing interning before I was offered a position as a publisher. After 6 months I was given my role as a stylist and I’ve been here ever since! Where do I even start?! It’s not the glamorous job everyone thinks it is! It takes a lot of running around and my days vary massively! Some days I will shoot the model gallery for the E-commerce team, and other days I spend researching trends, finding inspiration and keeping up-to-date with our competitors. Then there’s shooting lay downs for social media and editorials for campaigns, organising the TV adverts and booking the models! It keeps me on my toes! It honestly doesn’t feel like work at all though and because I love my job it makes getting up in the mornings a lot easier! I think the most rewarding part is the next day after the photo shoot; the final images always motivate me and keep driving me to make the next one even bigger and better! What are your top tips for someone wanting to become a Fashion Stylist? I think to become a stylist you’ve just got to be confident and believe in yourself completely! The role requires 100% commitment and a willing to put in the extra hours if needed! Think about the future now! Fashion courses can get expensive, save your loans for internships or work experience, which can be invaluable! I spent my entire loan on clothes and had to sit back and watch my friends travel the world and work with amazing designers like Vera Wang and for magazines like Nylon and Vogue…so SAVE THOSE PENNIES!